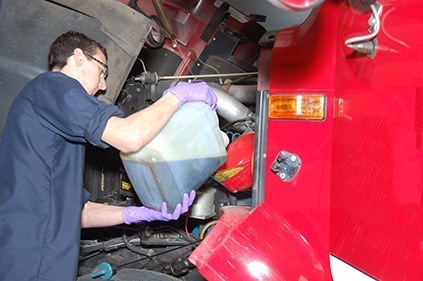 Shipman's Fire Equipment is your one stop Service Center for all your Emergency Vehicle Repair and Maintenance needs! 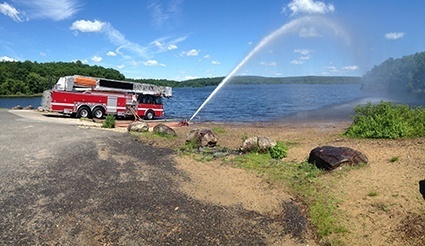 Since 1997, Shipman's has been a leader in Apparatus Service in Connecticut and Rhode Island. Our certified Technicians perform your service needs at our repair shop or in your station. Our FREE pick up and delivery service means your personnel stay in your response area! 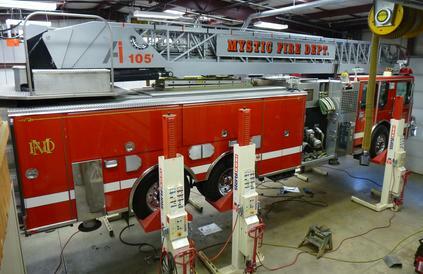 Need your Apparatus close to your response area? Let Shipman's perform your maintenance, repairs or installations at your station! With two mobile service vehicles, we're able to respond to your needs almost as fast as you respond to emergencies! Shipman's Mobile Pump Testing brings our fire pump expertise to your draft site! You pick the site, we'll get the equipment there, test it to the NFPA 1911 standards and return it to service. Deficiencies may be repaired on site meaning less down time. We'll even keep backup copies of your test reports!